Bass Pro Shops is showing its support in a new way this June for the Quality Deer Management Association and its members. During QDMA month, shoppers at participating Bass Pro Shops stores are invited to donate their change to the leader in white-tailed deer management by rounding up their purchase total to the nearest dollar. Throughout June, Bass Pro Shops stores across the U.S. will offer customers an opportunity to donate their spare change in support of QDMA’s efforts to ensure the future of white-tailed deer, wildlife habitat and our hunting heritage. In addition to QDMA receiving 100 percent of the money customers donate at the cash register, Bass Pro Shops will make a contribution at the end of the promotion. Bass Pro Shops also provides promotional support to QDMA through multiple advertising channels. QDMA is the fastest growing and most influential whitetail conservation organization in North America and works to help deer hunters improve local deer populations and get more fun out of their hunting experiences. QDMA also works at the local, state and national levels to protect the whitetail resource, which is the foundation of the North American hunting tradition. To learn more about deer hunting, habitat management and QDMA’s mission work, visit www.QDMA.com. Bass Pro Shops founder Johnny Morris has made giving back to conservation a hallmark of the company since he first began selling fishing tackle in the back of his dad’s liquor store in 1972. Over the course of several decades, Morris has dedicated himself to inspiring people, especially youth and families, to love, enjoy and conserve the great outdoors. One way that Bass Pro Shops works on behalf of conservation is by supporting the efforts of nonprofit conservation organizations that share a desire to tackle key conservation initiatives such as fish and wildlife habitat improvements, conservation and outdoor skills education, improving the quality of our lakes, rivers and springs, and conservation advocacy. QDMA is dedicated to ensuring the future of white-tailed deer, wildlife habitat and our hunting heritage. Founded in 1988, QDMA is a national nonprofit wildlife conservation organization with more than 60,000 members in all 50 states and Canada. To learn more about QDMA and why it is the future of deer hunting, call 800-209-3337 or visit www.QDMA.com. QDMA can also be found on Facebook at www.facebook.com/TheQDMA and Twitter at www.twitter.com/TheQDMA. 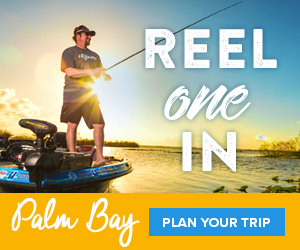 Bass Pro Shops®, which specializes in outdoor fun, operates 92 stores and Tracker Marine Centers across America and Canada that are visited by more than 120 million people every year. Bass Pro Shops stores, many of which feature restaurants, offer hunting, fishing, camping and other outdoor gear while their catalogs and website serve shoppers throughout the world. The company’s Tracker Marine Group® (http://www.trackermarine.com), a leading brand of fishing boats for more than 37 years, manufactures and sells a variety of boats for fishing and cruising. Family fun is on tap at Bass Pro Shops resort Big Cedar Lodge® (http://www.bigcedar.com), voted one of the top 50 Best Hotels for Families in the U.S. For more information, visit http://www.basspro.com/. To request a free catalog, call 1-800-BASS PRO. Follow us on Facebook at http://www.facebook.com/bassproshops.